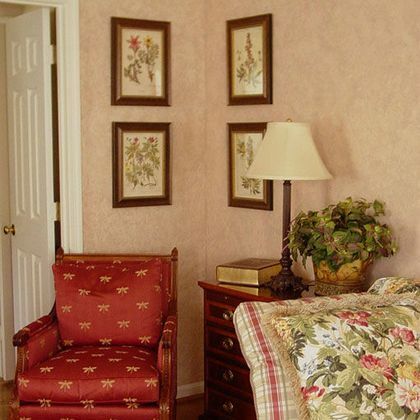 We find that the lacy appearance of a water-based rag rolled finish can be extremely attractive when combined with floral patterns and other interior decor details normally seen in traditional rooms. 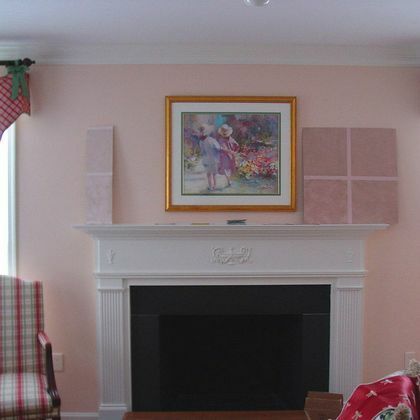 This technique used a rag rolling "off" method, combined with antiquing of the fireplace appliques. 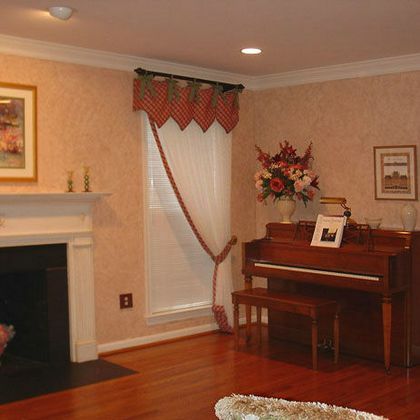 Rag rolling made the room look much more feminine and romantic. 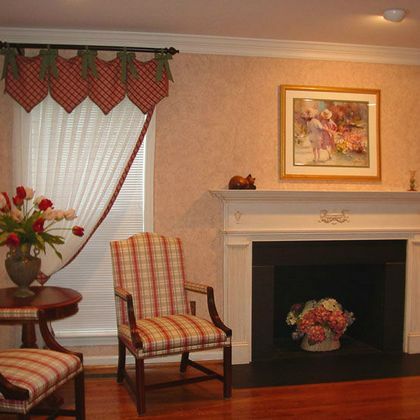 There are more rag rolled examples on our faux finish page. This lovely home in Potomac MD was tastefully appointed in shades of creme, light tan, mint greens, and persimmon colors. Color boards were presented to the customer so that she could pick the general color she wanted to carry into the new finish. 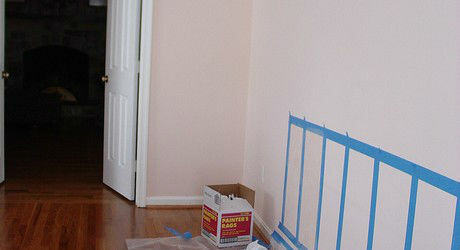 The walls, originally and light pinkish peach, were converted to a less saturated rose color. After a base coat in a pale taupe, the rose glaze was applied and rolled off with thick fiber rags. We used a water based finish which uses a thinner glaze and very rapid ragging off technique. We asked our customer to pick the intensity and texture of the finish by placing samples on the wall. 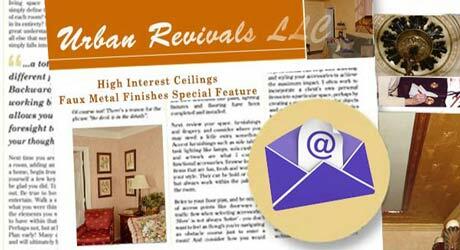 Various rag types were used, which affects the texture of the resultant finish. (Here, the wall grids are shown before we created the variety of finishes). 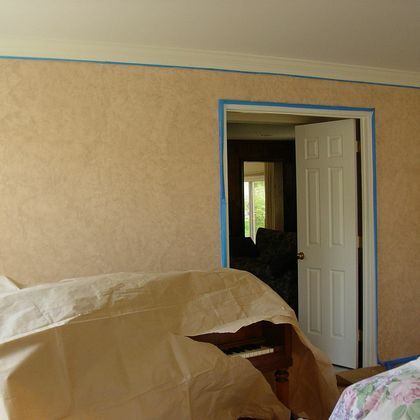 In contrast to our preferred approach, oil-based rag rolling can take on a look more reminiscent of plasterwork. All work was preceded by covering furniure and artworks, from both sanding of the walls prior to repainting the base coat and rag rolled glaze. It was also necessary to tape the edges of all moldings.